Who doesn’t want to retain a customer? Of course in telecom field customer is the core element. Make a happy, satisfied and loyal customer and watch your company’s success grow by word of mouth every day. So, every operator needs customers who are committed to paying fixed monthly rentals. It should also be noted that customers continue to be in that segment of users only when they are satisfied with the services too. Now, I will come directly to the topic, in the current situation of intense competition every operator has tried and been trying their best to retain value customers. No offense, operators tried playing the retention game with bundled benefits, discounts, extra benefits which are quite a few to name. I have a keen eye for every minute detail on almost all the operators but one operator’s strategy caught my attention i.e. 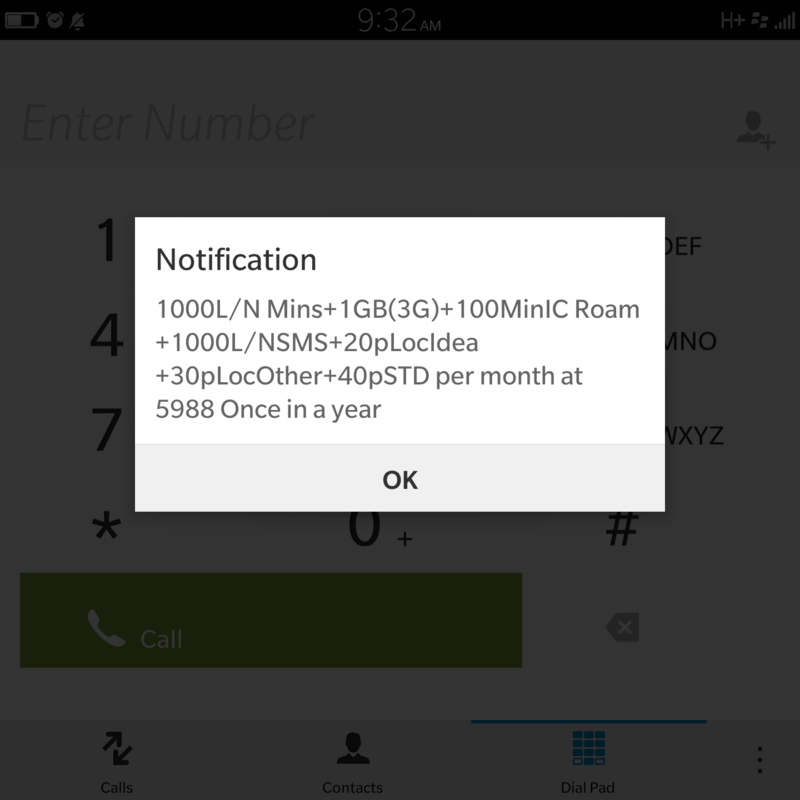 Idea Cellular. I can (if possibly allowed to) call it as an impulsive attempt of failure in retention. Since I don’t have the statistical data I am assuming it the consumer-centric way. Problem Statement : Retain a postpaid customer, at least in the current period till the situation stabilizes. Solution adapted (at least from what I can figure out) : Offer yearly plans of the same plans (benefits) with the same price tags billed yearly where a customer needs to pay the complete yearly payment of the total amount in the next bill cycle. Example : Let us take a monthly rental plan of 499 with benefits as per the plan. So, any consumer needs to pay 499 + 15% ST in case of usage within bundled benefits. So, Rs. 499 + Rs. 74.85 = Rs. 573.85 is what a consumer needs to pay monthly. So, Idea had come up with this yearly offer for the same plan. There are other yearly plans in different price slabs as well. 1. Rental : 499 * 12 = Rs. 5988 – Which is same as the yearly rental offered by idea in the above screenshot. Suppose if you feel the yearly payment component is done and this is including ST as well , you are mistaken. There is this mandatory component ST as well that you will see in the bill. 2. ST of : Rs 898.2 which you will be billed along with 5988. So, in the end as a consumer, you will end up paying the same price upfront on yearly basis with the same benefits of your plan. Any consumer will get locked up after paying the complete rental. If in case you need a proof of billing, check out the below-billing screenshot of a higher value plan. Billing Example : 1599 Plan calculated yearly + ST with the same benefits billed. Problem Solution Result : Is left to the discretion of the customers and the teleco. Dear readers, what do you feel on this impulsive attempt by an operator? Justifiable? Do let us know via comments or tweet me @Srikapardhi. Note : Views are author’s own. Story based on the information made available to the end consumer and bill proofs by the teleco. Benefits may or may not be the same in all the cases. This is purely a consumer experience based story. I feel sorry for those who are still using idea. Many of my friends still stick on to idea just become there place only idea is available,now operators are coming to those areas too.Idea will loot people like anything they don’t want customers but money money money.